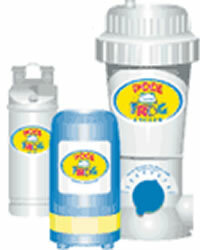 King Technology has pool sanitizing products for both above ground and in ground swimming pools. 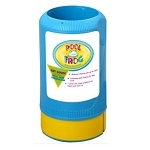 With POOL FROG and SPA FROG products to choose from. 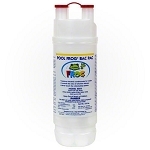 With FROG Mineral Purifiers, taking care of your pool water has never been easier. Minerals help control bacteria, prevent algae and keep the pH neutral so you can reduce chlorine use up to 50% to 80%. That means you can say goodbye to red stinging eyes, dry itchy skin and faded swimsuits while enjoying crystal clear, soft water for greater swimming enjoyment. 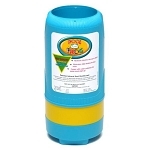 Click on one of our FROG Mineral Systems below to learn more. POOL FROG for Above Ground and In Ground Pools: A complete system of Minerals and Chlorine, with a precise dial for achieving a low 0.5 - 1ppm chlorine level. For above ground pools up to 20,000 gallons and in ground pools up to 40,000 gallons.